Anna Sui, queen of bohemian New York City cool, crafts collections each season that mix textiles, visual history and a love of music and rock and roll. 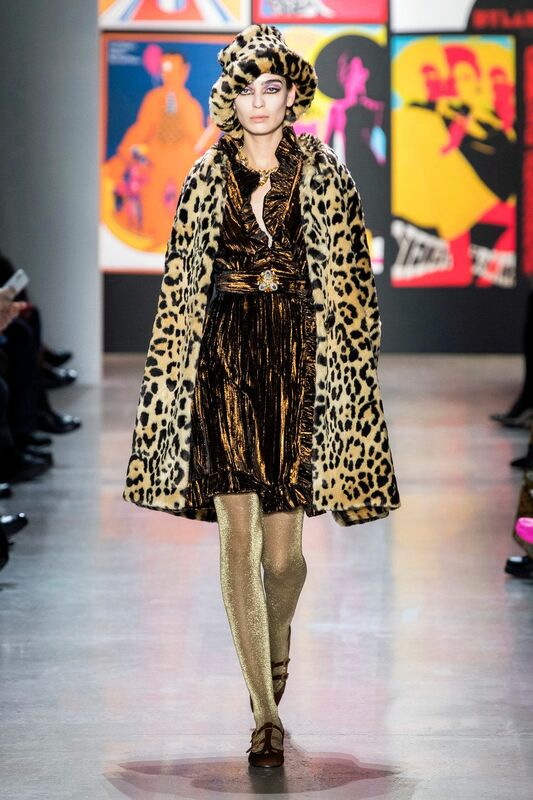 This season, the designer's fall 2019 collection was one of the most colorful yet. Here's everything you need to know about the show. If taking advice from Sui this season, one sage point is to match your hair to your outfit. 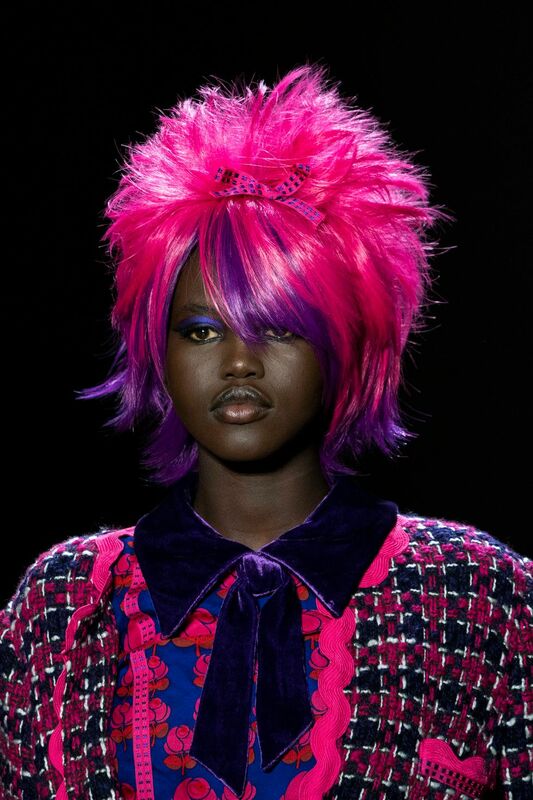 Models wore wigs in shades or turquoise, lilac, fiery red and periwinkle — with outfits that matched tonally. As if that weren't enough, nearly every look was styled with a pair or brightly hued tights in solid shades of violet or cobalt, for example. This gave the collection an overall vintage vibe. Anything is fair game in Sui's world. That includes mixing tweed with florals or tartan with stripes, which is exactly what she did for fall 2019. Some of the looks in this collection had a distinctly 1920s aesthetic. Short, multi-strand necklaces and Mary Jane shoes added that effect, as did little mini flapper-esque dresses worn with chunky faux fur hats. Marabou feather trim — a popular trend for fall 2019 — strikes again! 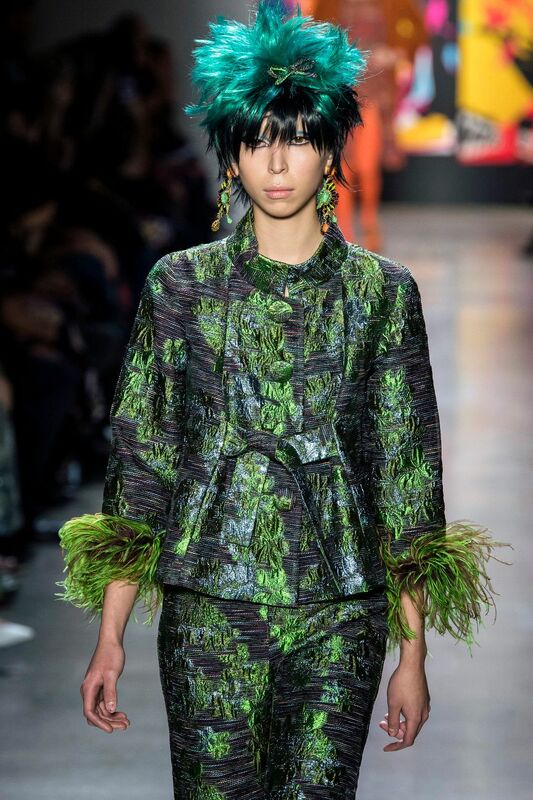 In the hands of Anna Sui, colorful feather trim was applied to a gorgeous brocade suit.